Actress Rachel Bloom attends the 73rd Annual Golden Globe Awards held at the Beverly Hilton Hotel on January 10, 2016 in Beverly Hills, California. 'Crazy Ex-Girlfriend' star (and Golden Globe winner!) 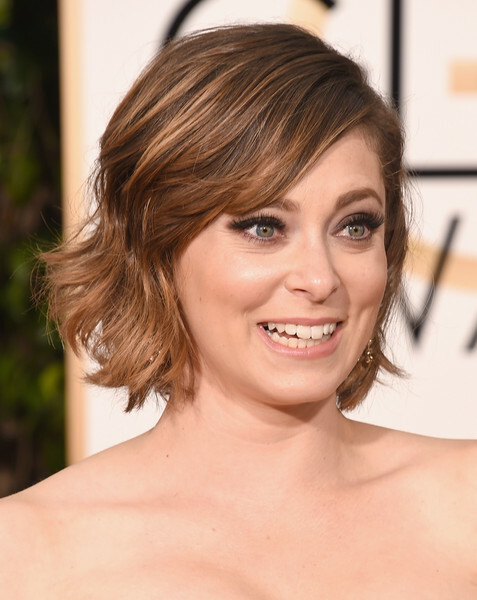 Rachel Bloom looked lovely with her smoky eyes.